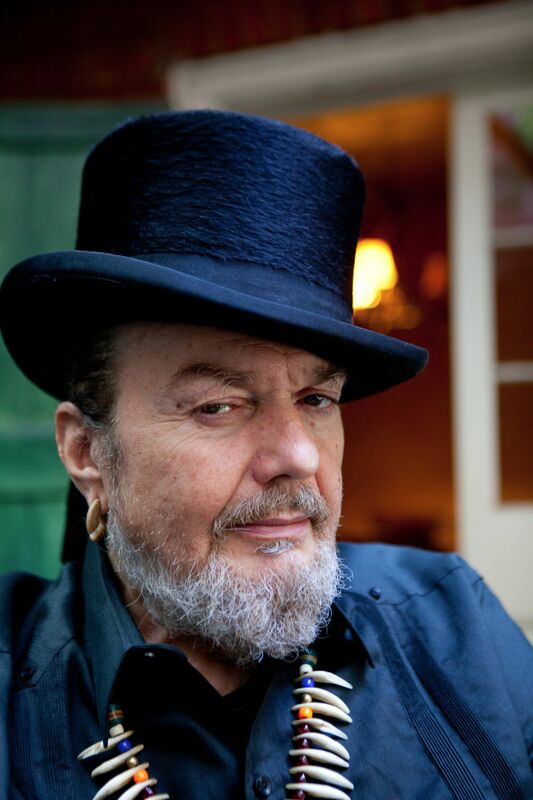 New Orleans musical legend Dr. John and the Nite Trippers are headlining the FREE Panama City Beach Mardi Gras & Music Festival this year. Known around the world for hits like, "Right Place Wrong Time," Dr. John is a Mardi Gras master, and this year he&apos;ll be performing in Panama City Beach! Don&apos;t miss any of the music or fun - find the Mardi Gras schedule HERE. It&apos;s better than that - You just appeared on the NBA All-Star Game&apos;s halftime show with several New Orleans musicians, including Trombone Shorty (who is coming to PCB for the Seabreeze Jazz Festival), and who introduced you as a "legend." How has your music influenced the up-and-coming New Orleans musicians, and how has New Orleans and the tradition of Mardi Gras influenced you? Well, I don&apos;t know how I influence anyone, but I do know that I have a lot of things - from the Mardi Gras Indians (who were referenced in early Dr. John songs) - I&apos;ve had a lot of stuff that&apos;s been inspiring to me, like the Zulu parades. I&apos;m inspired by a lot of what goes on in New Orleans, like the parades and all that. Have you ever been to Panama City Beach? Yes I have. I don&apos;t know if I&apos;ve been to right where this gig is at, but I&apos;ve been to Panama City Beach. Panama City Beach is adding huge musical talent to take our Mardi Gras to the next level - what do people need to throw a great Mardi Gras party? I tell you what - if they want to do something a la the New Orleans style or way, or they want to do it however they feel, their spirit&apos;s gotta be on the one. And they gotta feel it, just have a good time. I think that&apos;s the best answer I can give you. And play some Dr. John music? If they wanna do that, they can do that! What should someone expect from a Dr. John show? I never write up the show until the day of the show. Every gig is a different set. So it&apos;s never the same show twice? You&apos;re a 6-time Grammy Award winner, you&apos;ve been inducted into the Rock and Roll Hall of Fame, and you&apos;ve been made an honorary Doctor by Tulane University. Is there anything you want to do that you haven&apos;t gotten a chance to yet? Actually, I really just feel like I have stuff that I want to do. That&apos;s making some records, or doing some things that are important to me. No plans to slow down? What my friend Cousin Joe told me years ago - He wrote a lot of great songs like "How Come My Dog Don&apos;t Bark (When You Come Around? ", he wrote a ton of songs. He told me the best way for a musician to die is to fall over and die the last song of the show. The band gets paid and you don&apos;t have to play an encore. He was a funny guy!